This was the first beaded sewn card I made. 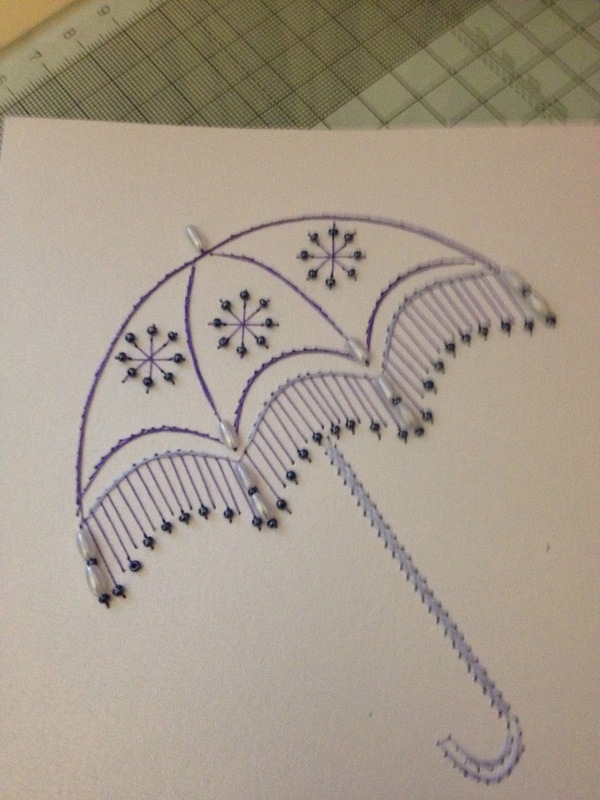 A friend of mine, Janice, had made a card using the umbrella pattern, and I loved it. So Janice very kindly let me have a copy of the pattern. Once I had sewn the pattern, adding the beads as I went along. I then mounted onto patterned paper and cut a frame using spellbinders die. I also cut some flourishes and butterflies to decorate the edges. 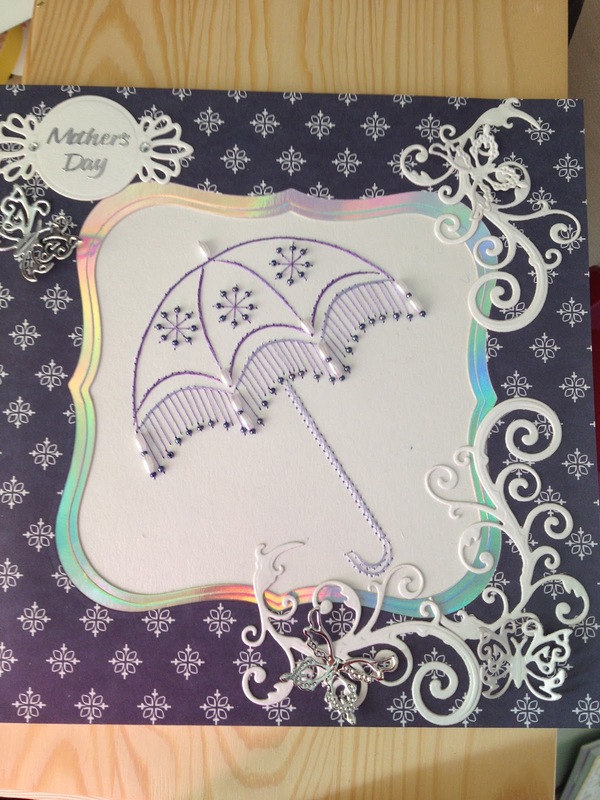 As you will see, I made this as a Mothers Day card, and sent it to my Mum last month.